UNIX is a multi-user operating system released in August 1969 by Bell Laboratories to support the development of softwares. Today, the UNIX name is used for operating systems that either originated from the UNIX system from AT & T or has implement of its concepts. Previously we discussed about UNIX Like Operating System, which is actually the Free Software alternative, namely Linux, developed and progressed as a Free Software movement by Richard Stallman. Apple’s OS X (10.7 upwards) is based upon the Mach kernel. Certain parts are from FreeBSD and NetBSD, so practically it is UNIX Operating Systen. The quality of security, some of the most used commands are exactly the same for both UNIX and UNIX Like Operating System. Microsoft’s Windows Operating System, in strict sense can not be compared with UNIX and UNIX Like Operating Systems for various technical reasons and focused for single user, which was modified by practically unofficially porting OpenVMS in Windows NT, the core has never changed since then (look at common wallpaper in the screenshot of the linked webpage). There is no Super User exists in Windows and all system files can be accessed within Graphical interface, these are perhaps the basic causes of vulnerability to Malware and Viruses by Microsoft Windows. OpenVMS is, however a solid server Operating System. The Unix derivatives includes for example, the BSD systems, HP-UX (Hewlett-Packard), DG / UX (Data General), AIX (of IBM), IRIX (SGI), Solaris (of Oracle) and Mac OS X (older, of Apple). Other systems such as Linux or QNX in the historical sense, is not Unix derivatives, because they are not coded on the original UNIX source code but have been developed separately. However, they are Unix-like systems, because they are typical of the UNIX operating system functions, like in POSIX implementation. A special case is BSD, is that although originally based on Bell Labs source code, has been rewritten by a loose community of programmers completely, so it is free from the original, copyrighted code now. The UNIX kernel has device driver, which alone can access to the hardware and managed processes. It also makes the file system available, in addition to modern variants the network protocol stack. System calls are from processes used (system calls to start fork, exec) and it does the controlling of thw other processes as well as for communication with the file system. Access to the device drivers are mapped to requests as “special files” (or device files) in the file system. Among the important features of a typical UNIX system are : high stability, multi-user configuration, multi-tasking (now also supports multithreading of microprocesors), memory protection and virtual memory (first implemented in the BSD line), IP – network support (also first in the BSD line), excellent scripting features, a fully developed shell and a variety of tools (the UNIX commands) and daemons. Operating systems of UNIX workstations and Unix derivatives have typically a graphical user interface based on X11. There are lot of books on various perspective of UNIX Operating System, it is beyond this website’s capability to discuss in details about a 40 years old most stable, most trusted Operating System. 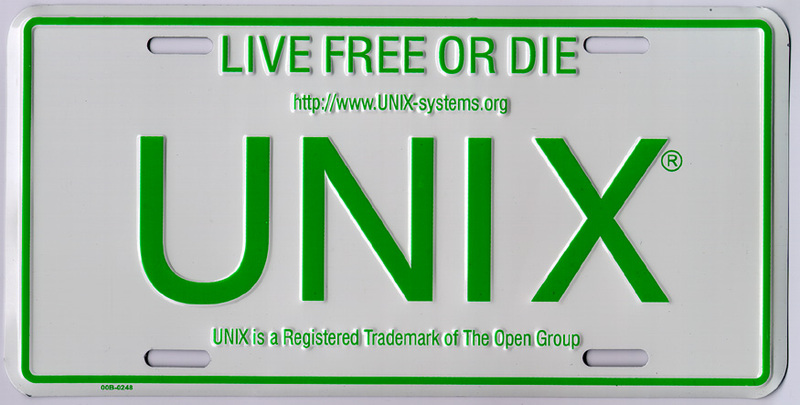 UNIX is an art of computing with a brief summary of their long documented philosophy – Do one thing and do it well. This Article Has Been Shared 9749 Times! Cite this article as: Abhishek Ghosh, "UNIX Operating System : Brief Technical Perspective," in The Customize Windows, November 28, 2012, April 21, 2019, https://thecustomizewindows.com/2012/11/unix-operating-system-brief-technical-perspective/.